The Florida Panthers have selected Canadian defense man Aaron Ekblad with the first overall selection in the 2014 NHL draft. Ekblad is considered the top prospect in the draft, and he ready to play right away. The 18-year-old wanted to be drafted by the Panthers. He played the past three seasons with the Barrie Colts in the Ontario Hockey League. In his tenure with the Colts, he had 40 goals and 76 assists in 175 games. He also had 11 goals and 17 assists in 44 games in the playoffs. In 2011, he was the OHL Priority Selection Draft Top Pick by the Colts. He is also just the 10th player to be selected in the OHL and NHL Drafts with the first overall pick. 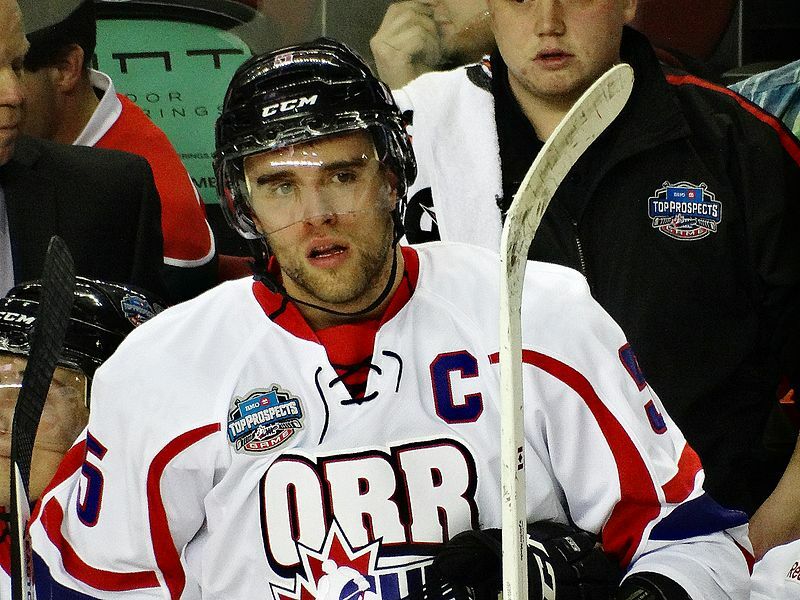 This past season, Ekblad was named the OHL Top Defenceman. The Panthers had three offers on the table before they drafted Ekblad. One of those offers were from the Vancouver Canucks, who was willing to give up both of their first round picks to get the top pick, but Dale Tallon, the Panthers Executive Vice President and GM, said that a team was close but didn’t offer enough.